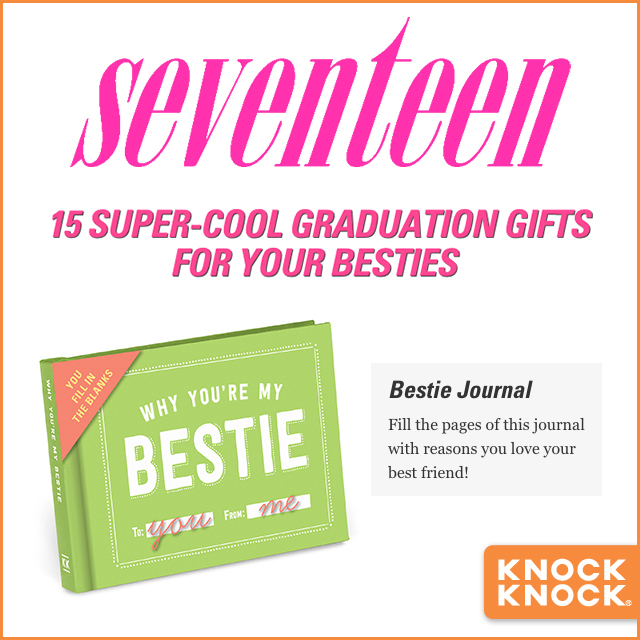 Seventeen featured the Why You’re My Bestie Fill in the Love™ Journal, full of humorous and encouraging prompts to help you collect your mind’s residue. It's perfect for your BFF! 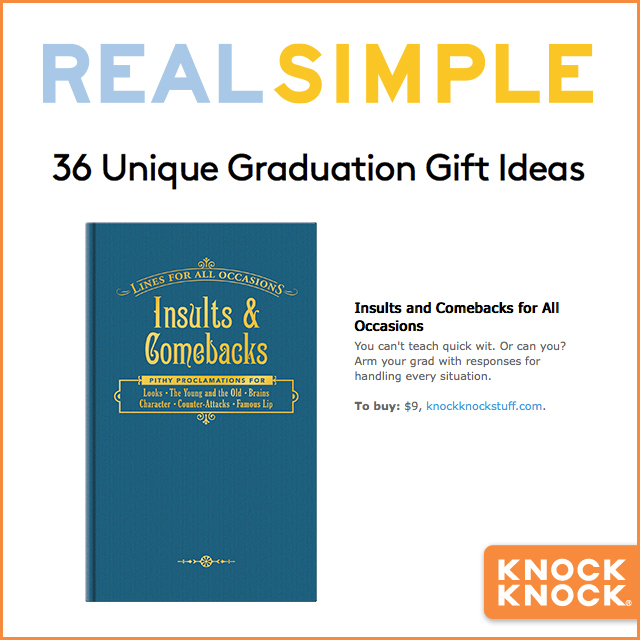 Real Simple featured Insults and Comebacks for All Occasions in “29 Unique Graduation Gift Ideas”—the perfect gift for a lesson on quick wit.